Looking for a simple dessert to make that is a little out of the ordinary? 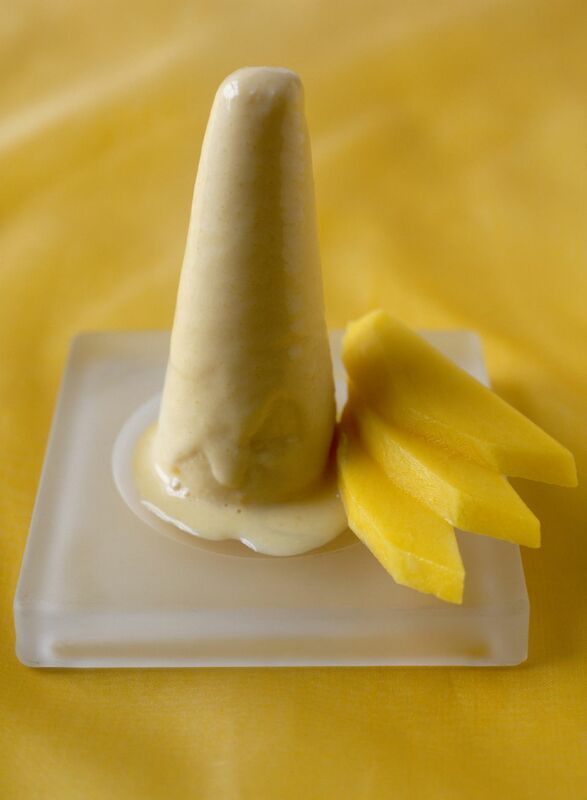 This mango kulfi recipe is for a mango ice cream that is common in India. The recipe is simple, plus children can help to prepare it. Kulfi is a popular Indian dessert that is common not only throughout India, but the Middle East, Sri Lanka, Pakistan, Nepal, Burma, and Bangladesh. Restaurants in East Asia, North America, Australia, and Europe offer it as well. Though it is referred to as Indian ice cream, it is a bit different from ice cream. Because the kulfi is not whipped, it creates a dense texture. Kulfi is more dense and creamier than ice cream. As such, it takes a longer time to melt than traditional ice cream. Kulfi is commonly flavored with vanilla, rose, mango, cardamom, saffron, and pistachio, though other flavors such as avocado, peanut, apple, and strawberry are also offered. Some people serve it with faloodeh or vermicelli noodles. Remove the mango pulp carefully. Put all of the ingredients in a blender and mix them until they are completely smooth. Pour the ice cream mixture into molds or bowls, or into one large bowl and freeze it until it is almost set. Remove the bowl or bowls from the freezer and whisk it thoroughly until all of the lumps are gone. This prevents ice crystals from forming in the kulfi and gives it a smooth texture. Put the ice cream back into the freezer and leave it until it is set. After that, the kulfi will be ready to eat. Serve and garnish with rose petals for an extra special touch. Kulfiwalas, vendors in India who sell the kulfi on the streets, keep it frozen by putting the molds in a matka, or large pot that is filled with ice and salt. Kulfi can be served frozen on a stick like a popsicle, or on a leaf. Often, it is garnished with cardamom or pistachios. Rose petals are also a common garnish. During India's Mughal period, the kulfi mixture was put into slurry ice, which is how kulfi originated. Another version of kulfi is made with boiled milk, bread crumbs, sugar and mawa (dried whole milk). Using evaporated milk, sweetened condensed milk and heavy cream are more popular in recent years.